VANCOUVER, BC / ACCESSWIRE / August 9, 2018 / MGX Minerals Inc. ("MGX" or the "Company") (CSE: XMG / FKT: 1MG / OTCQB: MGXMF) is pleased to announce that its wholly-owned subsidiary ZincNyx Energy Solutions, Inc. ("ZincNyx") has received the first shipment of components for its 20Kw output / 120Kwh storage zinc-air fuel cell battery. The core regenerator and fuel cell module components were manufactured using high volume injection molding. The design for manufacturing of these components was completed at the end of June and transition to tooling and production has proceeded smoothly. The regenerator and fuel cell parts form the nucleus of ZincNyx's commercial mass storage system which will provide four times the capacity of earlier models. The expanded range of this system addresses the need for long duration energy storage when coupled with renewable energy sources such as wind and solar. The system may be housed in a shipping container for deployment at remote locations or may be installed in free-standing racks in a warehouse or utility closet-type environment. The Company is also pleased to provide an update on the proposed spin out of its wholly owned subsidiary ZincNyx into a publicly traded company (the "Transaction") and the dividend payment in kind of ZincNyx shares to MGX shareholders of record (the "Proposed Distribution"). The financial audit of ZincNyx has been completed and filing of the preliminary prospectus is expected shortly. The proposed Transaction is being structured of which 66.6% of outstanding shares will be owned by MGX and 33.3% will be paid as a dividend to MGX shareholders of record at June 29, 2018. Further to the Prior Release (see press release dated April 3, 2018), MGX intends for ZincNyx to become a standalone company following the spin out by way of a dividend in kind of ZincNyx shares by MGX. The Proposed Distribution is expected to be made by way of ZincNyx filing a prospectus (the "Prospectus") with securities regulatory authorities in the jurisdictions where MGX is a reporting issuer (the "Securities Regulators") in order to qualify the Proposed Distribution of ZincNyx Shares to MGX Shareholders such that the ZincNyx shares to be delivered under the Proposed Distribution are not expected to be subject to any statutory hold periods. The Proposed Distribution will not occur unless or until a receipt for the final Prospectus is obtained from the Securities Regulators. The Prospectus will constitute a public offering of the ZincNyx Shares only in those jurisdictions where they may be lawfully offered for sale and therein only by persons permitted to sell such securities. This news release does not constitute an offer to sell or a solicitation of an offer to buy any securities in the United States. The ZincNyx Shares have not been, and will not be, registered under the United States Securities Act of 1933, as amended (the "U.S. Securities Act"), or any state securities laws and may not be offered or sold in the United States, unless pursuant to an exemption from such laws. For more information on ZincNyx, please refer to the Prior Release and the Company's other news releases, dated December 13, 2017, December 18, 2017, January 9, 2018, January 30, 2018, February 1, 2018, February 7, 2018 and March 12, 2018, available on the Company's profile on SEDAR at www.sedar.com and at www.mgxminerals.com. 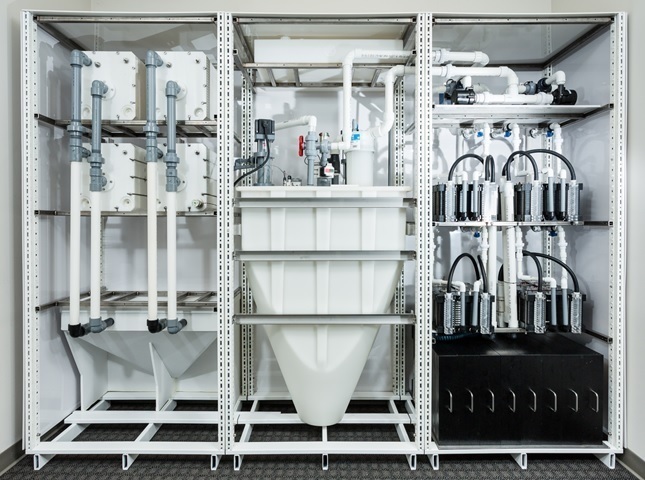 ZincNyx has developed a patented regenerative zinc-air flow battery that efficiently stores energy in the form of zinc particles and contains none of the traditional high-cost battery commodities such as lithium, vanadium, or cobalt. The technology allows for low-cost mass storage of energy and can be deployed into a wide range of applications.